The new Fukuoka Chibi Maruko-chan Store will open at N-SPOT on the 7th floor of Fukuoka PARCO on October 13 and will run for a limited period until November 30. 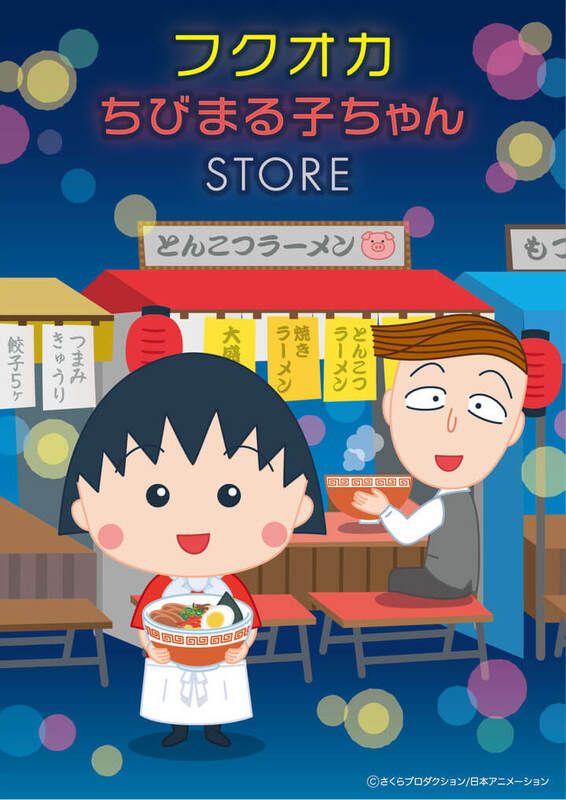 Due to the popularity of the Tokyo Chibi Maruko-chan Store (June 2018 – September 2018) and the Osaka Chibi Maruko-chan Store (September 2018 – October 2018), the shop is set to drop on fans in Fukuoka who can look forward to getting their hands on some cute merchandise. 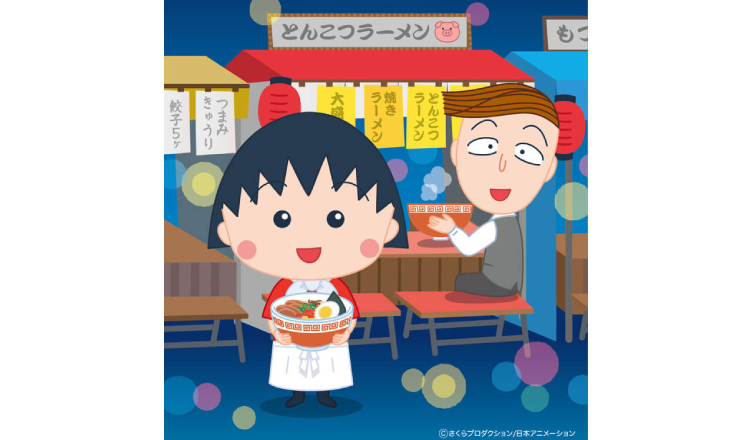 An exclusive illustration for Fukuoka will hit the store featuring Maruko-chan serving tonkotsu ramen at a foot card and Hanawa-kun behind her dressed in a suit. There will be around 300 individual limited edition items at the shop using this design. Also, customers who spend over ¥1,000 including tax will get themselves a special postcard not for sale anywhere else. Above is just a very small selection of some of the merchandise you can expect to take home. From the left is a box of mints (¥324+tax), a standing clip (¥600+tax), a mirror (¥880+tax), and card cases (¥800+tax). If you’re in Japan then don’t miss this special opportunity to purchase a range of Fukuoka-only Chibi Maruko-chan merch!